Apple’s getting into the credit card business with Apple Card, a new way to pay if you own an iPhone. It’s a credit card directly from Apple housed in the Wallet app, with no fees, lower interest rates, cash rewards, while also being private and secure. The announcement comes from the company’s event in Cupertino, California, where it debuted other services like Apple TV Plus, Apple Arcade, and Apple News Plus. 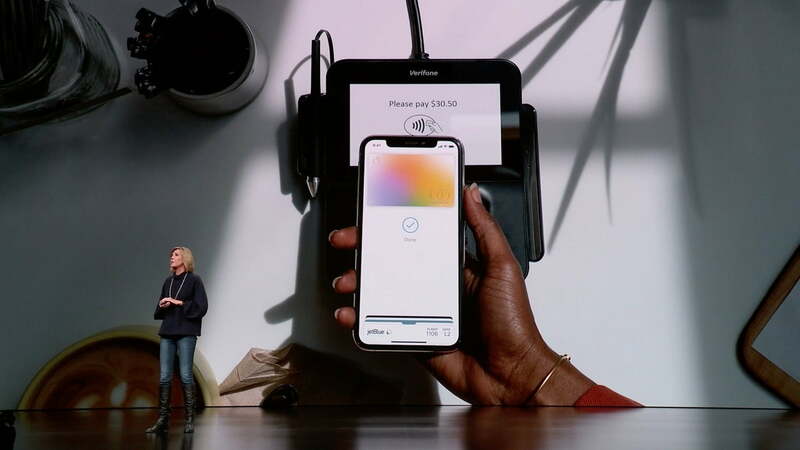 Apple said retail acceptance of Apple Pay, which allows for contactless payments with your iPhone, is almost at 70 percent in the U.S., and in countries like Australia, it’s at 99 percent. Apple Pay will be in more than 40 countries by the end of the year and that is important as the prime selling point of Apple Card is that it can be used wherever Apple Pay is available. Apple Card is a new credit card you sign up for directly from your iPhone. Goldman Sachs is the issuing bank and Apple is also partnering with Mastercard to support Apple Card’s global payment network. You don’t need to wait for a physical card to use it, meaning as soon as you sign up and are approved, you can use the card within minutes. You can use it wherever Apple Pay is accepted. If Apple Pay isn’t supported somewhere, that is where the physical Apple Card comes in. It’s a titanium card with your name laser etched on. It’s a little more secure than traditional credit cards, too, as there’s no card number, no CVV security code, no expiration date, and no signature on the card itself (you can find this in the Wallet app). The hub for the Apple Card is in the Wallet app, where you can see how much you owe on the card, when it’s due, and what you purchased. If you need help with something, you can chat with Apple Card customer service directly from the Messages app. What’s neat is Apple Card uses machine learning and Apple Maps to change the transaction names on the credit card statement to ones you’ll recognize, so it’s not just arbitrary business names that don’t mean anything to you. It also will categorize your spending, detailing where you spent money, and sort it into categories like food and drink. These categories are color-coded and these purchases are broken down by weekly and monthly reports, giving you an at-a-glance look at your spending habits. When you hear credit card, you can usually expect some kind of rewards system, like cash back or a points system. Apple is simplifying this with a feature called Daily Cash. It’s real cash that is added to the Apple Cash card that you can spend in stores, use to pay down your balance, use in apps or on the web, or even send to friends. Every time you pay with Apple Card on your iPhone or Apple Watch, you’ll get 2 percent of the purchase amount. That’s unlimited as well, so all the purchases you make in a day count toward Daily Cash. 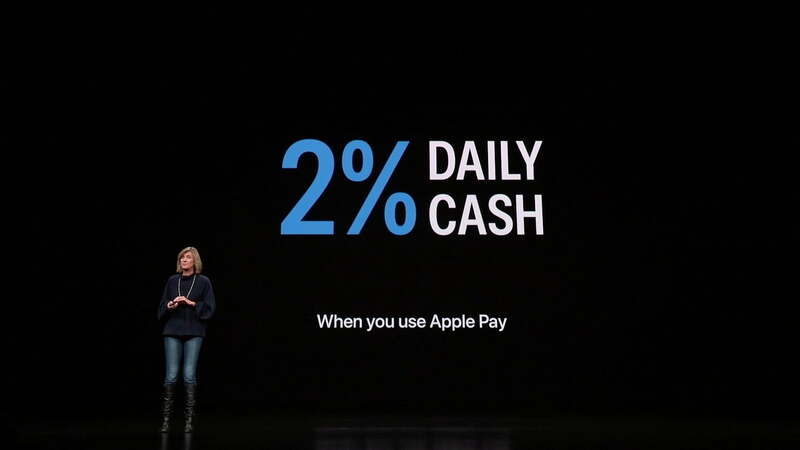 Any purchases you make directly with Apple gives you 3 percent Daily Cash — like buying an iPhone or paying your iCloud storage bill — and if you use the physical card, you get 1 percent Daily Cash. What’s the interest and credit limit? 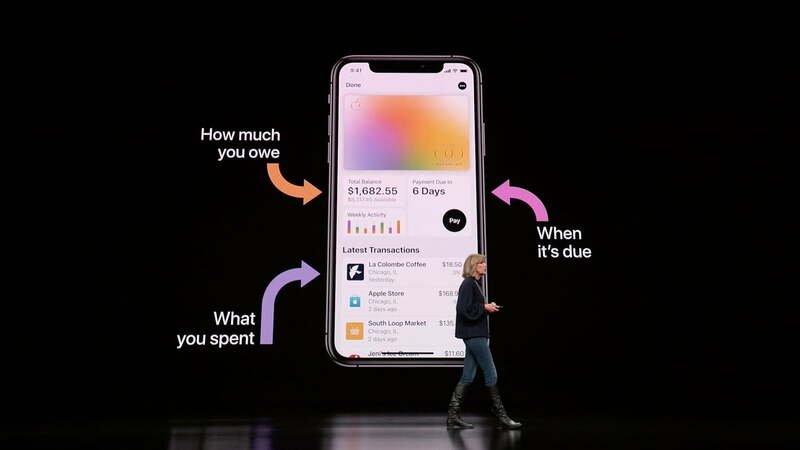 Apple said the Apple Card will have a variable interest rate ranging from 13.24 percent to 24.24 percent “based on creditworthiness” as of March 2019. The company did say there are no late fees, no annual fees, no international fees, or over-limit fees. There are also no penalty interest rates if you miss a payment, but “late or missed payments will result in additional interest accumulating” toward your balance. Apple said the Wallet app will help you see ways you can save on interest as well. There are tools available to see how much interest you’ll pay over time, and there are more frequent payments you can make to pay off your balance. You’ll need to be approved for the card just like any credit card, and you will also have a credit limit imposed. That limit will be based on your current credit standing. Is it secure and private? It wouldn’t be an Apple announcement without a note on privacy and security. Apple said your Apple Card has a unique number that is stored on the device. Every payment uses a one-time dynamic code that helps keep the card protected, and each payment is authenticated by Touch ID and Face ID. Apple said it also doesn’t know what you bought, where you bought it, and when. Goldman Sachs, the issuing bank, will also never share or sell your data to third parties for marketing or advertising, according to Apple. When will Apple Card be available? Apple Card will be coming to the Wallet app in the U.S. this summer. It’s unclear how quickly it will launch in other countries, but considering Apple Pay has a higher acceptance in Australia and in countries like Europe, we imagine it won’t take too long.